The cost of dating. 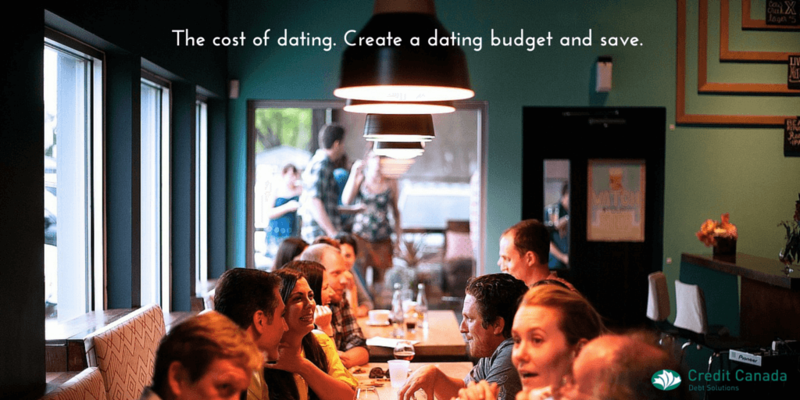 Create a dating budget and save. A few years ago I gave online dating a try and swore I would never do it again. That was until a few months ago when I received an email from one of the well-known sites with a promotional code for a discounted membership. They say that you should learn from your mistakes and I learned from this promotional offer that I was definitely right the first time I decided that online dating was not for me. I also learned that there is a place in New York called Tonawanda because that’s where most of my matches live. I know it’s not romantic but actively dating is an expense you need to create a budget for. There’s the paid online membership starting at upwards of $40 per month with most companies trying to lock you in for at least six months. The cost of a date itself. The cost of preparing for a date whether it be clothes, a haircut or a new nail polish. There are also small costs that can add up such as parking and gas and all the extra cell phone minutes! Making a budget for dating is important. So is managing your money wisely. I hear so many stories from men and women who are bitter because they spent $200 on dinner with someone they never heard from again. I definitely have picked up more than a few tips to save money whilst dating. For me the biggest expense was clothing and makeup. So now I have a first date outfit. That’s right, I wear the exact same outfit and lipstick on every first date. This outfit transcends seasons, events and trends. I recommend a first date outfit not just to save money but for your sanity. No worrying about what to wear or if you’ll look your best because your first date outfit is tried and tested. When it comes to the cost of a date I never do dinner on a first date. I’ve learned from experience that dinner with a stranger whose profile is a prolific lie is not a good time and neither is paying for the experience. Coffee is not miserly, it’s smart and short if necessary. If you do decide to have a dinner date, keep it simple. Toronto is an amazing city to date in because of the many cuisines and restaurants to choose from. There’s no need to book a table at Canoe when you can have sushi or Thai food and not dread the inevitable arrival of the bill. Aside from the expense, dating can be difficult because of the spotlight it places on any issues you may be struggling with in your life. If you have debt problems and are thinking about dating I would advise that you meet with a financial coach first. Debt help, like your first date outfit means that you have one less thing to worry about and Credit Canada can help you create a budget that allows you the freedom to date while paying off your debt. I’m contemplating ending my membership once again since my dating expense is getting me zero return. If anyone out there has an online dating success story or any great tips on how to save money without looking like the Grinch I’d love to hear from you in the comments.